The New York State Assembly has put forth a bill than bans BPA substitution chemicals in children's products. The bill, which has been referred to the state's Department of Environmental Conservation, would expand existing legislation that prohibits the sale of child care products that contain bisphenol-A. It comes in response to studies that have reported many BPA substitution chemicals are just as harmful—if not more so—than the chemical they're designed to replace. The ban would expand to include: bisphenol AF (BPAF), bisphenol Z (BPZ), bisphenol S (BPS), bisphenol F (BPF), bisphenol AP (BPAP) and bisphenol B (BPB). BPA—used to make plastic hard and shatterproof and to extend the shelf life of canned food—can leach out of products. Studies routinely show that more than 90 percent of people have traces of the chemical in their body. BPA is an endocrine disruptor, meaning it messes with the body's hormones, potentially at very low levels. In both animal and human studies the chemical has been linked to multiple health impacts in exposed babies and children—including obesity, asthma, low birth weights and genital defects. In recent years scientists have warned that substitution chemicals are increasingly being used in "BPA-Free" products and that they may carry some of the same health risks. The bill, sponsored by Steve Englebright (D-Setauket) who chairs the NY Assembly Committee on Environmental Conservation, pointed to a September 2017 study that found the six BPA alternatives all mimic estrogen in breast cancer cells; three of them more so than BPA itself. 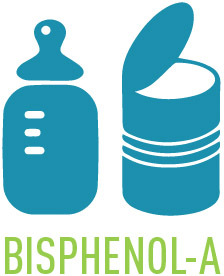 "The plastics manufacturing industry have turned to alternative bisphenols to produce their 'BPA-free' products, often with little toxicology testing," wrote the authors of the study. Michael Antoniou, a researcher at the Gene Expression and Therapy Group at King's College London who led the study, told EHN of the bill's expansion: "We're delighted that the implications of our findings showing potent estrogenic effects from BPA alternatives is leading to legislative change to better protect at least children from these chemicals." The bill would put New York out in front of federal policy. In response to Antoniou's 2017 paper the U.S. Environmental Protection Agency said the study "'highlight the need for testing of replacement chemicals prior to their introduction into commerce to demonstrate that they are safer than the chemical being replaced." However the feds haven't taken any action on replacement chemicals. "This is how policy should be shaped, based on the latest solid scientific evidence, which our work provides. We hope other states and nations will follow the example of New York and enact similar laws," Antoniou said.